This innovative concept combines a condo and house under one roof in order to allow you to live in the city while having enough space for a family. Designed on two floors (ground floor /second floor), each unit has two big bedrooms, two full bathrooms, one powder room as well as an office, ideal for professionals who want a space at home. 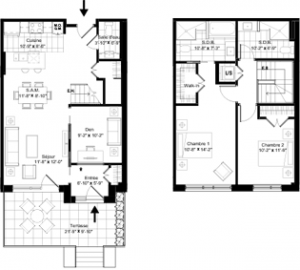 These spacious 5 1/2 units offer an open-concept living room with a private terrace, from which you can access your home. 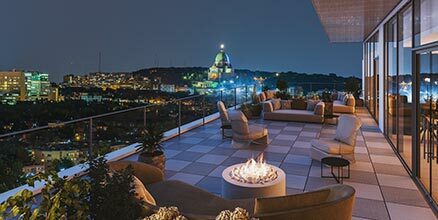 The condo-maisons also offer the best of both worlds : living in a condo with spacious living area, with less maintenance and more time to enjoy all the common spaces offered for an unparalleled lifestyle. 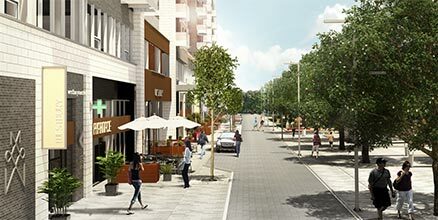 By becoming the owner of one of 3 condo-maisons in Westbury Montréal, you will have the possibility of building a new life in a peaceful neighborhood perfect for families. 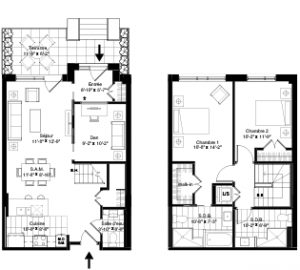 The condos-maisons of Phase 3 are designed on two floors and offer areas ranging between 1379 and 1418 square feet. Westbury Montréal gives you the opportunity to select from a multitude of finishing in order to personalize your home and make it unique. Let your imagination run free by choosing different combinations of floor finishes from a wide selection of wood shades and essences, as well as ceramic tiles for the kitchen and bathroom. By choosing a condo-maison, you will also have access to a superior selection of high-end materials and finishes that will add a touch of luxury and quality to your new home. With Westbury Montréal, you’ll have a space that reflects your personality. Located in Côte-des-Neiges–Notre-Dame-de-Grâce, Westbury Montréal is distinguished by its proximity to services and its vibrant neighborhood. This project planned for many businesses on site such as a grocery store, a coffee shop, a restaurant and a daycare center, which will make your travels and your daily life easier. It also includes a large 40,000 square feet central park at the heart of the project where you can relax and enjoy nature. These condo-maisons benefit from an ideal location for families thanks to their proximity to many parks and green spaces, as well as several schools. 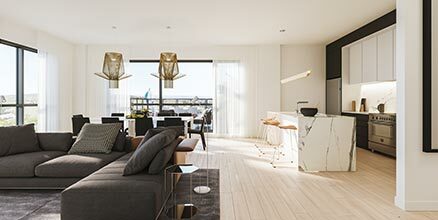 In short, Westbury Montréal condo-maisons are perfect for your little family.